UPDATED — WASHINGTON (CNS) — Pope Francis has accepted the resignation of Bishop Paul G. Bootkoski of Metuchen, New Jersey, and named as his successor Msgr. James Checchio, a priest of the Diocese of Camden, New Jersey. Bishop Bootkoski is 75, the age at which canon law requires bishops to turn in their resignation to the pope. In January, Bishop-designate Checchio, 49, completed a 10-year tenure as rector of the Pontifical North American College in Rome. “Plus, he’s a Jersey guy like me, so perhaps I am biased,” Bishop Bootkoski said. Those plans changed, while he was in rural Minnesota with some lay and priest friends. He said he was getting ready to go ice fishing, but first decided to retrieve his phone messages; the cellphone reception wasn’t too good, so his calls were going to voice mail. That’s when he learned he had gotten a call from Archbishop Vigano. Archbishop John J. Myers of Newark, New Jersey, praised Bishop-designate Checchio for his leadership and skills as “an educator and formator” at the Pontifical North American College. (“He) has deepened in the hearts and minds of the many seminarians at the college an awareness of the meaning and challenges of priesthood through theological studies, spiritual formation including prayerful reflection on the revealed word of God and the tradition of the church and its meaning for the modern world, and a variety of pastoral service opportunities,” Archbishop Myers said in a statement. Under the newly named bishop’s leadership, “the college and its affiliated institutes have grown significantly and are thriving,” added the archbishop, who is chairman of its board of governors. “I know him to be a very spiritual and able man, a leader and a good and generous priest who loves the priesthood and priests,” added Archbishop Myers. He also thanked Bishop Bootkoski for his leadership and care of the people of the Metuchen Diocese for 14 years and before that his 36 years of ministry within the Archdiocese of Newark, where he was ordained a priest and served as an auxiliary bishop. 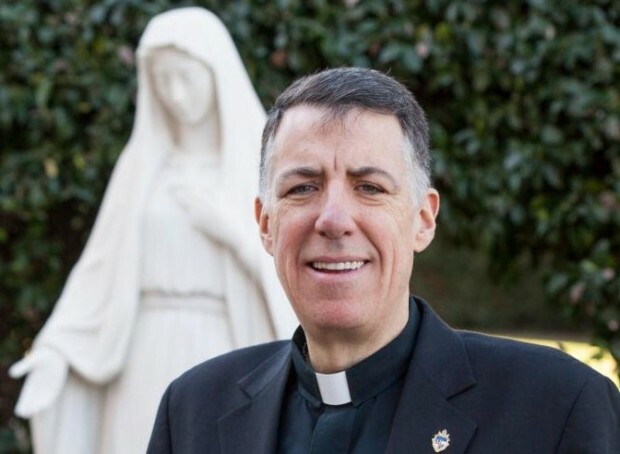 Born April 21, 1966, in Camden, Bishop-designate Checcio earned a bachelor’s degree in philosophy from the Jesuit-run University of Scranton, Pennsylvania, in 1988. He pursued seminary studies at the Pontifical North American College. He was ordained a priest June 20, 1992. Metuchen was established as a diocese in 1981. It comprises just over 1,400 square miles in the state of New Jersey and has a total population of about 1.4 million; 640,000, or 46 percent, are Catholic. NEXT: Alabama conference examines depth of black-white divide in U.S.